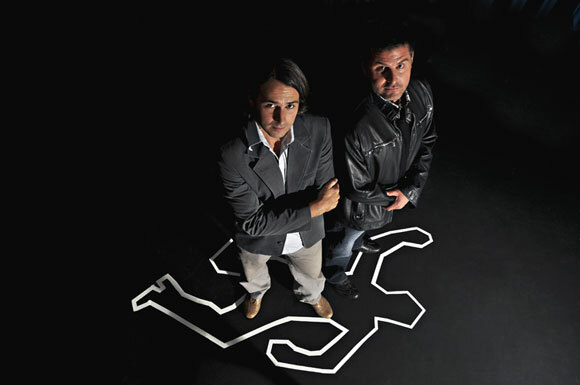 Forensic psychologists Michael Woodworth, left, and Stephen Porter. When: Workshop Friday, February 28, 9 a.m. to 4:30 p.m.; free lecture Thursday, February 27, 3:30 p.m. Ever wonder how the police, or a judge, know when someone is lying to them? There is scientific query behind criminal investigations and UBC researchers are bringing an RCMP expert to campus to explain the science behind lying eyes. UBC Okanagan’s Centre for the Advancement of Psychological Science and Law (CAPSL) wants to share what it knows about the art of lying, how to determine a lie, and how to extract the truth. The centre is hosting a full-day working shop with UBC psychology professors Stephen Porter and Mike Woodworth, and retired RCMP Staff Sergeant Matt Logan. The workshop takes place Friday, February 28, at UBC Okanagan’s administration building, room ADM 026. However, the day before the workshop, Logan presents a free public lecture titled Inside the Mind of a Predator. “This lecture will highlight investigative strategies as well as the assessment of risk for sexually deviant, violent, and predatory behavior, while also considering psychopathy and personality disorders,” says Woodworth. Woodworth’s primary areas of research include psychopathy, criminal behavior, and deception detection. Porter, who has a background as a prison psychologist and has worked in a forensic psychiatric hospital, also works on lie detection, homicide, and psychopathic predators. Both have been called upon as resources for the RCMP, Corrections Canada, and the Canadian legal system. Logan worked for the RCMP for more than 28 years and now provides forensic behavioural consultation and training for law enforcement and criminal justice officials. The Thursday, February 27, event is free and open to the public, but pre-registration is required at https://www.eventbrite.ca/e/dr-matt-logan-presents-inside-the-mind-of-a-predator-tickets-10546399565. Logan’s lecture begins at 3:30 p.m. in University Theatre, Room ADM 026. While the Friday workshop is meant primarily for criminal justice professionals whose job involves assessment, supervision, treatment, and investigation of offenders, it is open for public enrolment as well. The workshop registration fee is $225 or $150 for students. Porter and Woodworth will discuss high-stakes deception in the morning session and Logan will talk about techniques for extracting information in the afternoon session. To registration is required for the one-day workshop at: ubcoporterlab@gmail.com.